Moving through moments of playful interaction , participation and celebration. 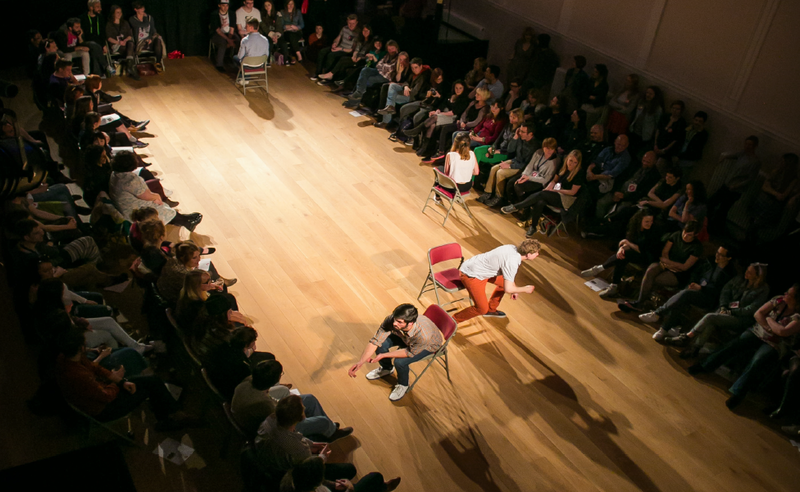 We Used To Wait explores what it means to be ‘live’ and present together in an increasingly digital world. We Used To Wait invites its audience to question why falling asleep on a stranger’s shoulder, playing a spontaneous game and feeling the wind of someone run past you might be important. A rectangle of chairs. Audience and performers sat side by side. No set just us together.